The spring season is heating up on Broadway and two new musicals and a musical revival are the talk of the town. 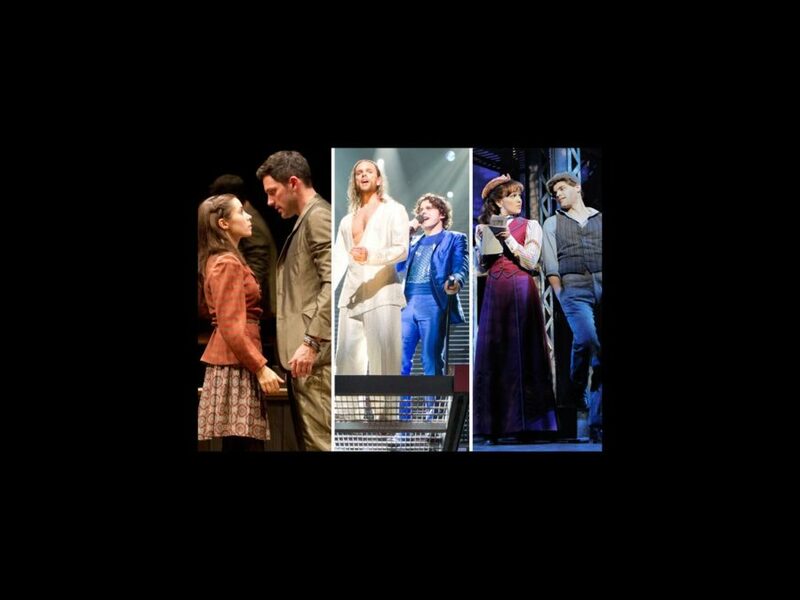 Critics and audiences alike are falling for Once, Jesus Christ Superstar and Newsies, all three of which will be tough Tony Awards competition come the ceremony on June 10. Broadway.com is bringing you inside looks at these hot shows about two soulful musicians, a peaceful prophet and a band of dancing newsboys. Based on the 2006 independent film of the same name, Once features a score by Glen Hansard and Marketa Irglova, who won an Academy Award for the song “Falling Slowly.” Set over the course of one fateful week in Dublin, an unexpected friendship and artistic collaboration between a street musician (Guy) and a Czech immigrant (Girl) quickly evolves into a powerful but complicated love story. Once stars Steve Kazee as Guy and Cristin Milioti as Girl. The Andrew Lloyd Webber-Tim Rice rock opera is based very loosely on the Gospel's account of the last week of Jesus' life. The show began life as a record-breaking album before it landed on Broadway in 1971. This production of Jesus Christ Superstar first played the Stratford Shakespeare Festival, before transferring to San Diego's La Jolla Playhouse ahead of its arrival on Broadway. The show’s famous songs include “I Don’t Know How to Love Him,” “Heaven on Their Minds,” “What’s the Buzz” and "Everything's Alright." The revival stars Paul Nolan as Jesus, Chilina Kennedy as Mary Magdalene and Josh Young as Judas Iscariot. Based on the 1992 Disney film, Newsies is a high-energy musical full of dazzling dance numbers and an inspiring story. Based on the real events of the Newsboy Strike of 1899, Newsies follows Jack Kelly, a young New York City newsboy, who leads a group of orphans in a protest against Joseph Pulitzer, William Randolph Hearst and other powerful newspaper publishers when the price of papers is raised. The show features new music by Alan Menken, in addition to the beloved songs from the movie, such as “Carrying The Banner,” “Seize The Day” and “King of New York.” Newsies stars Jeremy Jordan (one of Broadway’s hottest new stars) as Jack Kelly, Kara Lindsay as Katherine Plumber, Ben Fankhauser as Davey and Andrew Keenan-Bolger as Crutchie.